In July I visited my first ever Literature Festival in Ampthill. 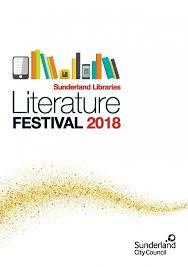 I had a great time but all the way through I was thinking ahead to October where my home city, Sunderland was holding its first combined Literature and Creative Writing Festival. Not only were there going to be some great acts, I was also going to play a small part in it myself. Whilst the Ampthill Festival was held over one weekend in one venue, the Sunderland one spanned the whole month and multiple venues across the city. Also, in contrast to Ampthill, the majority of events were going to be free. The festival was a combined effort between Sunderland Libraries, Iain Rowan, the MAC Trust and Sunderland University. I know Iain quite well from my time with Holmeside Writers and had a good chat with him about my experience in Ampthill. We discussed whether we could foresee any issues that might crop up and mitigate them before they happened. Most things were out of their control, there’s always going to be a few technical glitches, there could be issues with the guests appearing at the festival and the biggest unknown is the ‘quirkiness’ of the audience at the events. 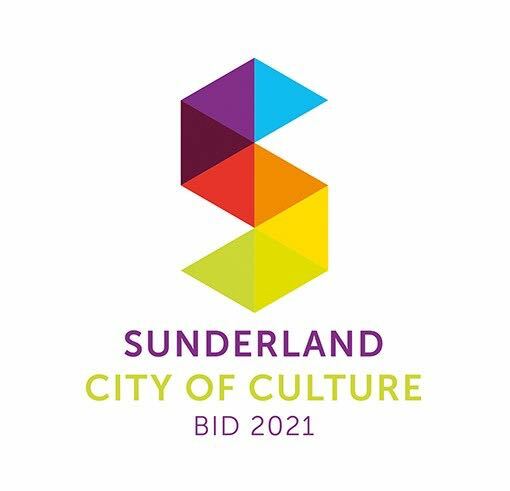 The fact that the Sunderland Festival seemed to go without a hitch is testament to the hard work being done behind the scenes by everyone involved. I’m sure that the graceful swan analogy applies here, whilst everything on the surface appeared to be gliding along perfectly, there was some frantic paddling going on out of sight. With over 100 events throughout the month it would have taken a super human effort and possibly some time travelling skills to see everything. I focussed mainly on the Creative Writing side and I’m going to give you a brief review of the highlights. A panel discussion with Julia Churchill, (Children’s Fiction Agent, A.M Heath) and Catherine Richards, (Senior Editor, Pan Macmillan) held at Pop Recs and chaired by Iain Rowan. One of the many sold out events and it seemed like anybody who was a writer in the North East had turned up to try and learn the magic formula to getting published. Echoing the advice the agents and publishers gave out in Ampthill, there is no magic formula. Make sure your book has a great hook and it is as good as it can be. If it is good enough it will find its place eventually. A lot of myths were busted and both Julia and Catherine were friendly, insightful and approachable. Iain did a masterful job in chairing an event that had the potential to get out of hand. With an agent and a publisher in the room, someone was always going to try and pitch their idea. When it came I don’t think anybody was expecting it to be a story about a little boy, Santa, a leprechaun and a gnome. The lady pitching even claimed to have photos. Now if I had photos of Santa and a Leprechaun I think I would be going to the papers. Once again hosted by Iain Rowan at Pop Recs, another sold out event with the obligatory random person turning up without tickets. A nice relaxed evening following on from an appearance I had done at the Glass Centre earlier in the day. We explored various different ways of getting our stories out there from Twitter to Instagram to Video Promos to messages in bottles. I made copious notes (not that I can read my own writing) and I think I have lots of ideas for publicising my work. I’m not claiming that this was one of the best events of the festival but as I was leading it I would be foolish not to give it a mention. I’ve written a bit about it in a previous blog but I was pleasantly surprised to see that the event was another sell out. The two hours flew over and there were a lot of intelligent questions from the audience that kept things moving along. I’d like to think that a few people learned something from it but I’ll let others be the judge. If anybody did attend and has any follow up questions please feel free to get in touch. It’s the first time I’ve presented this topic and I have a better idea of how I would adapt it if I was doing it again. A very enjoyable night. An absolutely fantastic writing masterclass by Rob Young. Funny, helpful, down to earth and incredibly modest considering his success, Rob did some more myth busting and was a ray of positivity throughout. Would thoroughly recommend going to see him if you get the chance. Two of his plays are showing at Sunderland Uni later this month so I’ll definitely make the effort to get there. The culmination to a fantastic festival and possibly the highlight. A panel discussion with David Callaghan, Hal Branson, Jason Cook and Ian Smith followed by a stand up routine from each one. I don’t think I’ll ever have what it takes to be a stand up (I’m not funny enough) but I have been inspired to have a go at writing a comedy script. It’s a totally different skill set to what I do now, even though my books are meant to be funny, but I might as well try. The stand up gig was hilarious but I don’t think I dare repeat the bits that I found the funniest. One of the things I noted at Ampthill and that I discussed with Iain before the festival was that the organisers spent so long organising, stressing and looking after others, they didn’t seem to get a chance to enjoy the festival themselves. Last night, once the pressure was finally off it was great to see Iain, Hannah and Kristian laughing their heads off and finally enjoying all of the hard work they put in. Once they have time to sit back and reflect on what they have achieved along with the library and everyone else involved, I hope they are very proud of themselves. One final note. I have noticed a trend at every event including the ones at Ampthill. There is always one lone nutter, usually asking a randomly bizarre question. If you were at any of these events and didn’t notice this nutter, it was probably you.